We’ve had this dresser for so long that I don’t exactly remember where we got it, except that I know it was old when it came to us. It has lived in the rooms of various children, serving the purpose admirably, but getting more and more dinged up over the years. Our 19 and 21 year old daughters used it most recently, and when they moved out last fall, they opted to leave it here at the house. 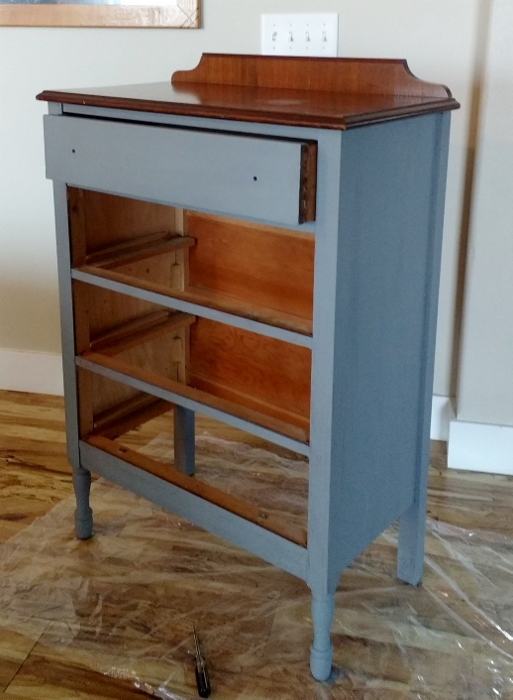 Though its finish is not perfect, it was initially made pretty well, with solid wood drawers, and a sweet simple presence about it. Now as I am prepping to furnish the beach house, I am looking at every item we own, wondering if it would be a good fit there. 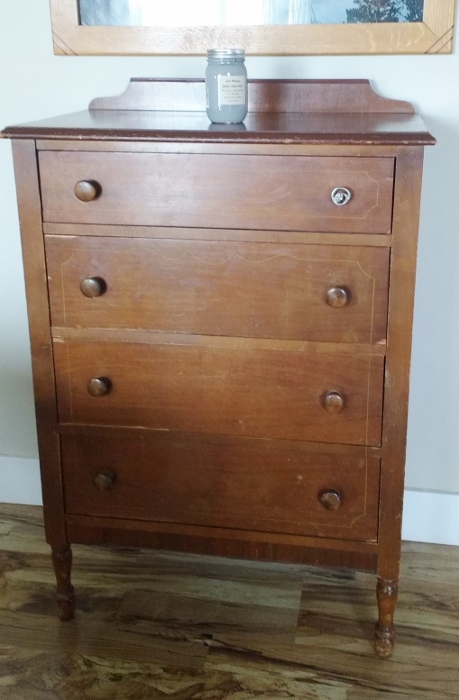 Looking at the worn dresser, my first thought was probably not. But my recent painting projects have gone well enough that I look at everything with a gleam in my eye. I’ve had a jar of Junk Monkey paint in the cupboard for awhile, waiting for just the right purpose. It is a color called Paris Grey. 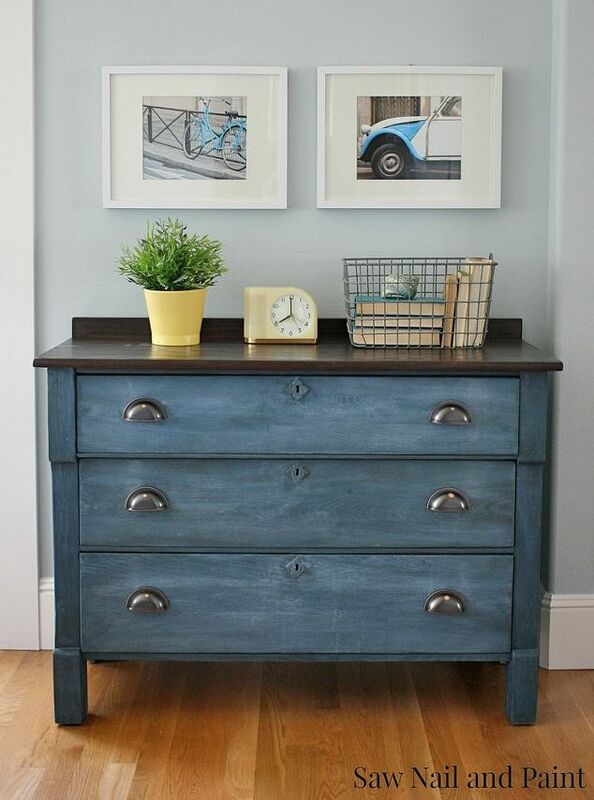 Then yesterday on Pinterest I saw this really neat two tone dresser, and decided the two tone look might be an idea to try with my little dresser. I started by removing the drawer handles and then lightly sanding and wiping down the whole dresser. I also taped off the top of the dresser, since I had decided to leave that the original wood color. 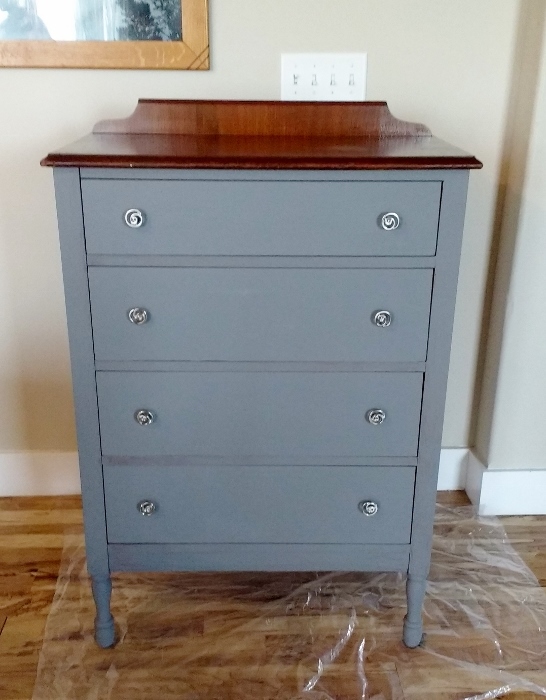 I painted the drawers with two coats of the grey paint, and the body of the dresser with just one. I may decide to paint the body with a second coat, but I ended up liking the slightly distressed look that was created by using a little less paint. (Actually, I may try to figure out how the streaky look was created on my inspiration dresser, because it is really neat looking too. Since the top of my dresser was pretty dinged up, I also sanded it lightly, and then lightly rubbed some dark walnut stain on the most distressed looking areas of the top to even the tone out a bit. I really like the way the wood contrasts with my grey paint. 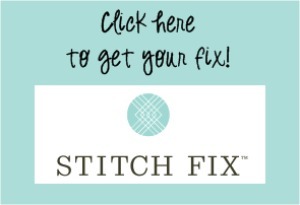 My final touch was a set of new silver-tone knobs, which I think adds a dab of fun to the project. I may end up tweaking the paint a little more later. But overall I am delighted with how well this project turned out. The whole thing took me less than two hours, and I think it really updated the look of our little dresser. I’m wondering if they used a black wax on your inspiration dresser to give it that streaky look. It looks similar to some projects I’ve seen done with that method. Great idea– I will have to look up black wax. Thanks!